We stock a variety of Long Guns from manufacturers such as Benelli, Browning, Century Arms DPMS, Marlin, Maverick, Mossberg, Magnum Researsh, Remington, Ruger, Savage, Thompson Center, Winchester & MANY MORE! We also carry a variety of gun accessories, including black gun accessories. Many different stocks, forends, slings, cases, lights/lasers to choose from. We have everything you might need to shoot and range accessories including but not limited to, magazines, ammo, targets, lead sleds, ammo box, cleaning supplies, & recoil reducers. 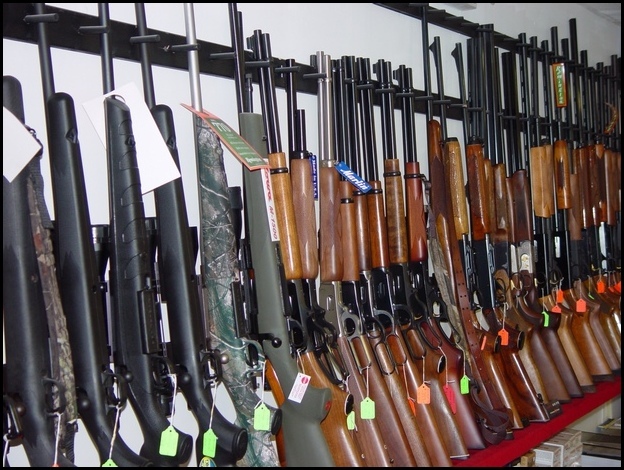 At Fred’s we strive to match the person to the right gun for their hunting & shooting needs. Even if you’re not sure what it is you want or need, whether for your protection or recreation, we can help you make a decision that best meets your needs! Our employees have extended personal experience with firearms, which assists us in making knowledgeable decisions. We Buy and Sell Used Guns!